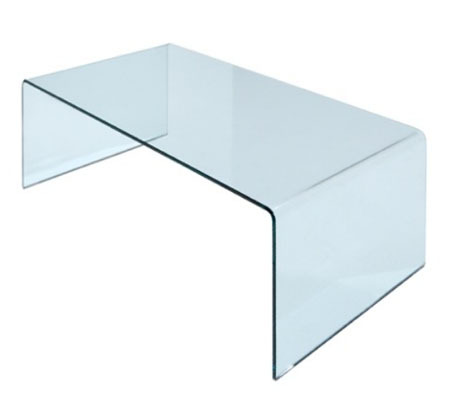 Thick moulded clear glass coffee table available in a variety of sizes. Has a more rounded bend than the similar Curve bent glass table. Glass is 10mm thick.